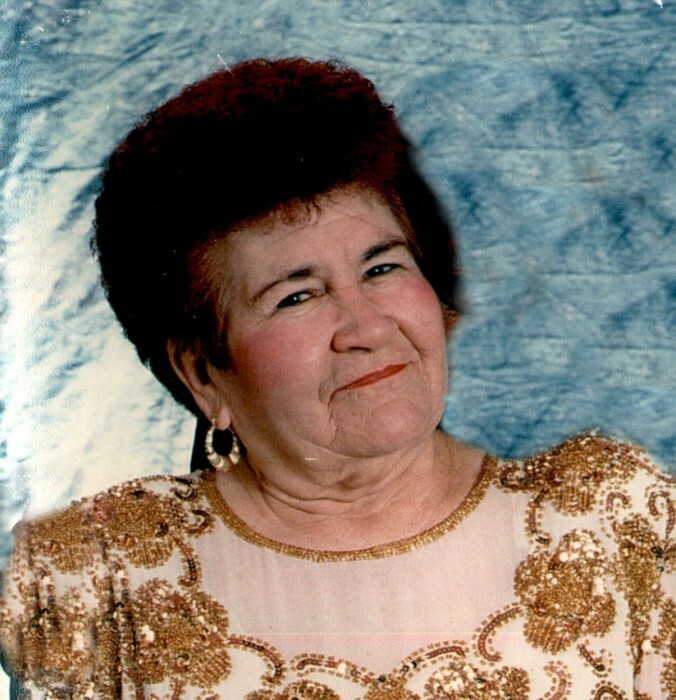 Rafaela Gonzales, 89, passed away January 24, 2019 peacefully surrounded by family at home. She was born January 29, 1929 in Weslaco, Texas to Arturo & Altagracia Sarmienta. Rafaela was a loving wife, mother and grandmother. She was known for the love of music, dancing, fashion and fishing. She is preceded in death by her spouse Juan V. Gonzales, son Eddie Gonzales, sister Elosia Hinojosa, great granddaughter Baby Layla Curry and great grandson Baby Ethan Cole Rodriguez. Left to cherish her memory are her fourteen children: Oscar (Susie) Gonzales, Olga (Tom) Willaford, Minerva (+Ron) Davalos, Noemi (Carlos) Cortez, Yolanda (Fred) Paredes, Lupe (Ed) Avalos, Norma Curry, Myra (Gilbert) Lopez, Pat (Rick) Martinez, Homer (Mary) Gonzales, Rolando Gonzales, Hector Gonzales, Gracie (Jason) Gawriluk, and Rose (Tom) Hill. She is also survived by 43 grandchildren and 76 great grandchildren. Special thanks to Gloria Trevino, Yolanda Hinojosa Gonzales and CIMA Hospice. Honor to serve as pallbearers are Rick Rodriguez, Johnathan Lopez, Patrick Martinez, Cody Martinez, Carlos Cortez II, and Robert Avalos. Honorary pallbearers are Daniel Paredes, Aevin & Ryder, Michael Gonzales, Eddie Ramirez, David Villarreal, Blake Villarreal, Johnny Rodriguez, Austin Gawriluk, Isadore Avalos, John Gonzales, Brandon Curry and Dylan Hill. Visitation will be held on Tuesday, January 29th at San Benito Funeral Home from 12:00 p.m. to 9:00 p.m. with the recitation of the Holy Rosary at 7:00 p.m. Funeral service will be 10:00 a.m. Wednesday, January 30th at St. Joseph Catholic Church. Burial will follow at Mont Meta Memorial Park.